Natural Horse Care Tips | Benefits Of Horse Massage Therapy | Equine Bodywork | Exercises For Horses | Natural Remedies For Horses | Essential Oils | Using Essential Oils For Horses | Healing Your Horse Naturally | Improve Flexibility And Performance In Horses — Taking Natural and making it Practical – Natural health solutions for the horse you love! Want Less "Hype" And More "Action" From Your Natural Horse Care Advice? 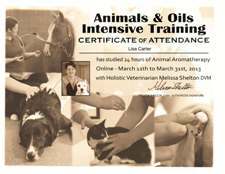 Are you fed up with natural remedies, equine bodywork exercises and natural horse care advice that just doesn't work or doesn't fit with your barn budget and schedule? You want to do right by your equine partner by giving them the best care possible, but without breaking the bank or spending so much time "taking care of things" that there's no time left to actually enjoy spending time with your horse! Wouldn't it be nice to find natural solutions for your horse that are practical, cost effective AND yield actual results? The nature of the horse-man/horse-woman is typically very pragmatic, self-sufficient and frugal in nature. We are always looking for new and ingenious ways to streamline our barn chores and activities, cut costs and keep our beloved horses out of the vet clinic so we can pursue that one thing that drives us the most…riding, playing, competing…simply having fun with our horses! 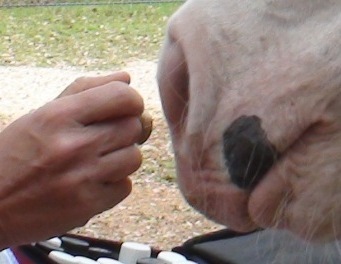 Having horses in your life is not an inexpensive venture, with the price of hay making it worth its weight in gold, veterinary care when horses get into things they shouldn't (as they invariably will), and simply the cost to travel from point A to point B in our pursuit of fun horsey activities. What's Keeping Your Horse From Reaching Its Full Potential? Does your horse have chronic or acute lameness issues that limit their potential and quality of life? Are you looking for more natural alternatives for your horse to traditional products and medications that may have harmful side effects? Would you like to learn ways to identify problems before they become big issues? Are you tired of the traditional philosophy of chasing down symptoms and would like to find ways to address the actual source of your horse's problem? While traditional western medicine has it's place, most natural alternatives can be utilized in conjunction with traditional treatments, adding to their effectiveness and helping to shorten recovery time. When a horse's immune system is strong through a healthy natural lifestyle, they are less likely to develop the common concerns than horses whose systems have been loaded with toxins. It seems the more we interfere with our horses natural immune systems and load them up with chemicals and pesticides in an attempt to prevent illness, the more likely they are to be susceptible to illness and injury. By changing our perspective to a "whole horse" perspective and looking at our horses holistically, we come to the realization that all systems of the horse affect each other. Everything cannot be addressed through one discipline alone. It is only through understanding the interrelation between the different systems of the horse that we can truly identify and address imbalances and illness in our horses. 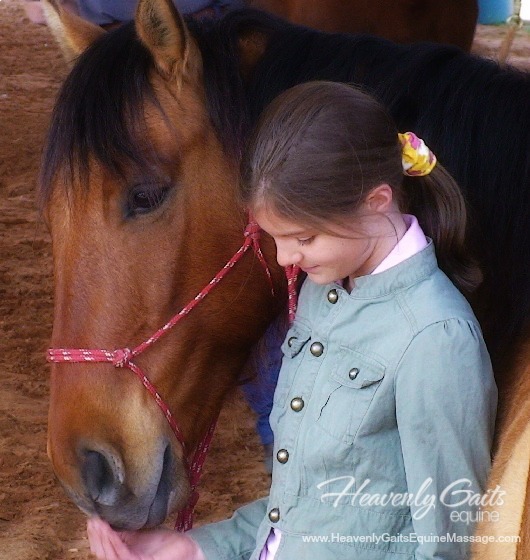 We cover all potential resources that can benefit the horse…mind, body and soul – aromatherapy, essential oils, herbal remedies, homeopathy, equine bodywork, natural hoof care, natural horsemanship, holistic veterinary medicine, and yes, even good old traditional "western" medicine. 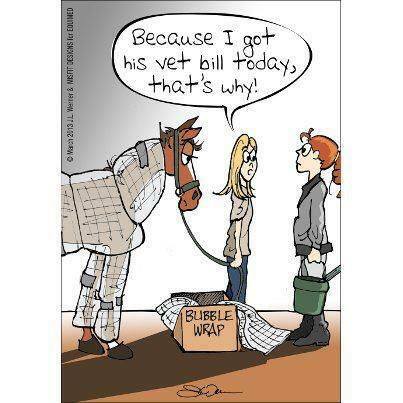 So how do you take your horse care into a more natural direction? Step 1 – Get your free report "3 Steps To Evaluating Your Horse For Potential Problems". 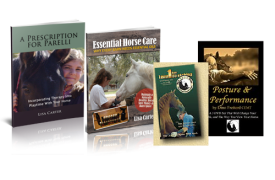 Step 2 – Read through the wealth of blog articles covering subjects like equine bodywork to improve balance, flexibilty and performance; natural remedies for many of the top horse health issues concerning equine caretakers today; how using essential oils can cut your horse care costs; seasonal horse care tips and much more. 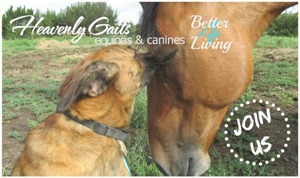 Step 3 – Join me on http://www.facebook.com/HeavenlyGaitsEquineMassage, along with a community of other naturally-minded horse people, where we share our experiences with what works and what doesn't, as well as fun things we are doing with our horses. Step 4 – Start taking action on what you learned in Step 1 with the easily implementable and affordable solutions found in my Essential Horse Care Kit. This is where the tires hit the pavement!